The Mercedes-Benz W108 and W109 were luxury cars built by Mercedes-Benz from 1965 through 1972. 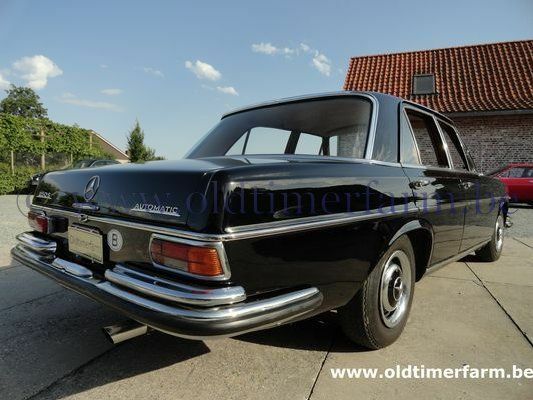 The line was an update of the predecessor W111 and W112 fintail sedans. The cars were successful in West Germany and in export markets that included including North America and Southeast Asia. During the seven year production run, a total of 383,361 units were assembled. Both the 300SE and 300SEL came with the M189 2996 cm³ engine, originally developed for the Adenauers. It had a modern six-plunger pump that adjusted automatically to accelerator pedal pressure, engine speed, atmospheric pressure, and cooling water temperature, to deliver the proper mixture depending on driving conditions. Producing 170 bhp (130 kW) at 5,400 rpm the cars could accelerate to 200 km/h (195 km/h with automatic transmission) and reach 100 km/h (62 mph) in 12 seconds. The cylinder capacity of the three litre Mercedes engine was unchanged since 1951. 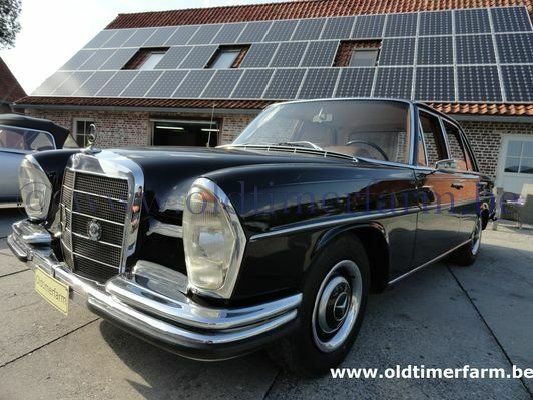 From 1965 to 1967, fewer than 3,000 W109s were produced. However, approximately 130,000 of the less powerful 250 S/SE models were built during the first two years of the W108/109's existence. By 1967 the fuel consumption of the 3 litre unit in this application was becoming increasingly uncompetitive. Bodywork. Length/width/height/wheelbase – cm (in) : 490/181/144/275 (192.9/71.3/56.7/108.3); weight : 1470 kg. Mechanics. Straight-six 2496 cc (152 ci), front-mounted, 12 valves, 2 carbs, automatic 3-speed gearbox, rear-wheel drive maximum power : 130 bhp at 5400 rpm. Top speed : 182 km/h (113 mph).